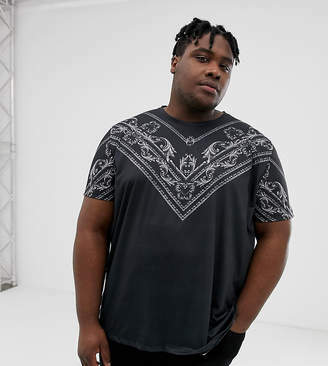 Big Tall T-shirt by Burton Menswear London, Started with the bottoms, now you're here, Crew neck, Printed yoke and sleeves, Regular fit, No surprises, just a classic cut. British brand Burton Menswear London combines a long heritage of tailoring with a modern take on relaxed formal and casualwear to bring an added hint of freshness to every occasion. Expect classic shirting and knitwear.